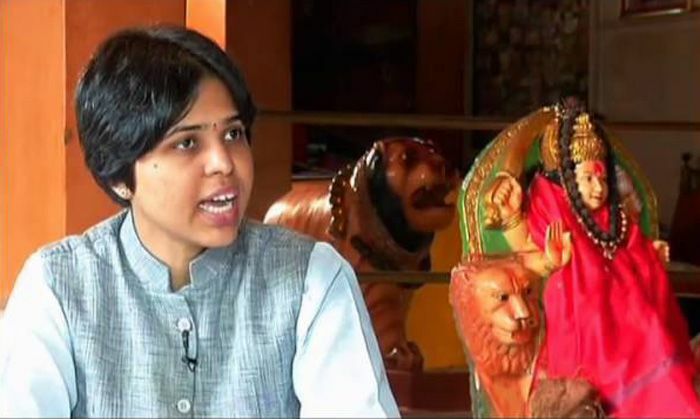 Activists of the Bhumata Ranragini Brigade, led by Trupti Desai, were stopped by the locals and the temple trust authorities when they tried to storm the premises of the Shani Shinganapur temple in Maharashtra's Ahmednagar district. The fresh row comes after the Bombay High Court stated that prohibiting women from entering places of worship is against the fundamental rights bestowed upon them by the Constitution. "We are not going to turn around, and if need be we will file an FIR against the Maharashtra Home Minister and Chief Minister". "Police were made available for our protection. They have been directed by the court to provide protection to us. What the police were doing". Disposing of a Public Interest Litigation (PIL) filed by Vidya Bal and Nilima Varta, the court said there should be no gender discrimination as far as entering places of worship is concerned. The PIL challenged the tradition prohibiting the entry of women inside the sanctum sanctorum of the Shani Shingnapur temple in Ahmednagar district of Maharashtra, claiming that barring women is arbitrary, illegal and in violation to the fundamental rights of a citizen that the Constitution bestows. On 26 January, at least 400 women volunteers led by Desai made an unsuccessful attempt to storm the 'chauthara' of the temple, but police stopped them at Supa village, 70 kms from the temple. The temple first drew attention in November 2015 after a woman offered prayers in "breach" of the age-old practice of prohibiting entry of women.